Sustainable Innovation: Earlier this month, EMG gave a lecture on Sustainable Innovation at the British University in Dubai (BUiD). Drs Daan Elffers and senior consultant Katarina McCartney had been invited by the head of the department of Project Management and Innovation, Prof. Mohammed Dulaimi, recipient of the 2015 ‘Best Professor in Project Management’ award at the prestigious Asian Education Leadership Awards. Sustainable Innovation is a hot topic in the UAE this year, with 2015 being marked ‘The Year of Innovation’ by the UAE cabinet, chaired by His Highness Shaikh Mohammad Bin Rashid Al Maktoum, Vice-President and Prime Minister of the UAE and Ruler of Dubai. The announcement came in line with the directives of President His Highness Shaikh Khalifa Bin Zayed Al Nahyan. Shaikh Khalifa stressed the importance of innovation to UAE strategy. 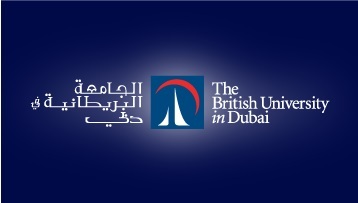 The British University in Dubai was established in 2004 and is the Middle East’s first research-based postgraduate university. The university has the reputation of being one of the region’s most innovative institutions, setting the standards for study and research that will significantly contribute to the technological innovation and growth of the Arab world and beyond.